Pre-orders live at Tsume Shop the 19th December 2016. Remaining amount of the statues were available after the Ace Live event by Tsume the 31th January 2017. 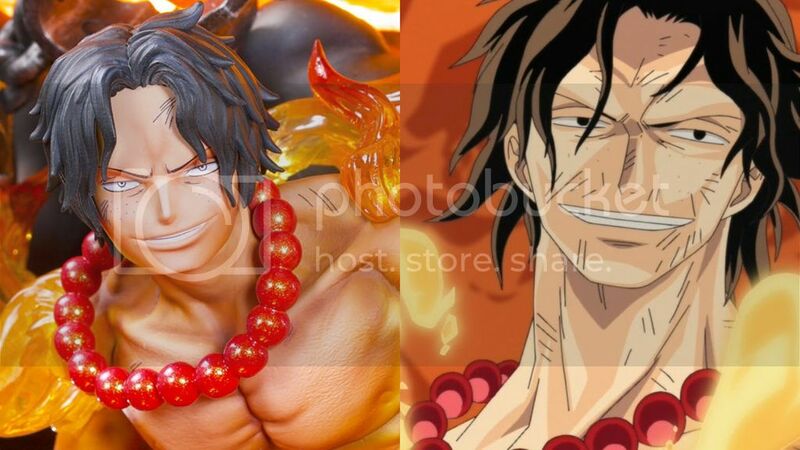 I think they did a pretty good job staying accurate to the style of One Piece! Selling my Ace by Tsume with the Number 0114 in Germany. jayce321 (4 months ago) #46356376Awesome! It’s amazing the piece big step up from there other pieces paint and quality wise! Awesome! It’s amazing the piece big step up from there other pieces paint and quality wise! jayce321 (4 months ago) #46350142Masssive. If your seats fold down you might be able to, but when dhl delivered mine in his van really showed how much space it took up. Masssive. If your seats fold down you might be able to, but when dhl delivered mine in his van really showed how much space it took up. silentwinter91 (4 months ago) #45858719Is that with shipping included? Their shipping charges have changed recently but on previous orders they would bundle the shipping charge togther with the non-taxed product price and sell it at the listed MSRP to the consumer.Reed (4 months ago) #45858738Customs for me was around $233 CAD so it's similar. One thing though is just double check that they got your address and postal code etc right. I found that when I was looking at my DHL shipping info that they were planning on delivering the item to Hamilton even though I had confirmed my address on Tsume's site and it had been correct there. Had to do a quick update of the address afterwards to update it on DHL. But otherwise figure turned out awesome. The box it came in is huge though so another thing to just be aware of. glad you got it in the end. lucky mines came without any issues. ace sits in flush and i didnt get any broken chains. silentwinter91 (4 months ago) #45858719Is that with shipping included? Their shipping charges have changed recently but on previous orders they would bundle the shipping charge togther with the non-taxed product price and sell it at the listed MSRP to the consumer. No duties are separate and not charged by Tsume. I got Ace when he went up for PO in Dec 2016 and shipping was 90 euros back then. If I order him now, his shipping is 220 eur so yeah unfortunate about the shipping. for the taxing part, I'm just basing it off of my past experience with goku. goku is 399 eur but that's with the tax. since i'm not in the eu, i dont pay the tax which is why my goku was valued at 341 eur as opposed to 399 eur. maybe im wrong, i hope im not but i gotta wait for tsume to answer my ticket so we'll see. Customs for me was around $233 CAD so it's similar. One thing though is just double check that they got your address and postal code etc right. I found that when I was looking at my DHL shipping info that they were planning on delivering the item to Hamilton even though I had confirmed my address on Tsume's site and it had been correct there. Had to do a quick update of the address afterwards to update it on DHL.